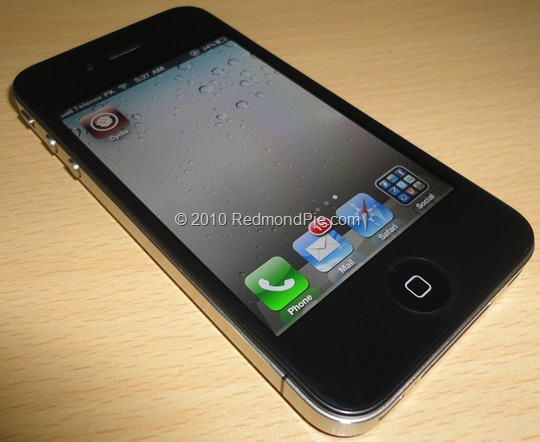 Untethered iOS 4.2.1 Jailbreak for iPhone 4 Is On Track For Release On Christmas Eve ! 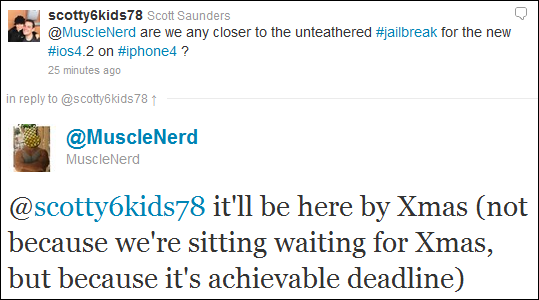 Earlier this month, Comex of Spirit and JailbreakMe fame confirmed that a more efficient userland-based untethered jailbreak method for iOS 4.2.1 will be released before Christmas 2010. And now, MuscleNerd of iPhone Dev-Team has given further confirmation that a untethered jailbreak solution for iOS 4.2.1 is indeed in works, and that it will be ready for prime-time use somewhere around Christmas. This untethered solution will almost certainly be applicable to all current iOS 4.2.1 devices, including the new A4-based ones which includes iPhone 4, iPad, Apple TV 2G and iPod touch 4G. More info on this as it comes, stay tuned for that ! UPDATE 1: MuscleNerd seems to have deleted the tweet which was originally posted on this link here.